recommended for: Fans of Bret Easton Ellis, Tom Leveen, George Saunders, or cheerful nihilism. will i read this author again? : A thousand times yes. In this hilarious and daringly unpredictable novel, the narrator must exact revenge upon Evie, her best friend and fellow model; kidnap Manus, her two-timing ex-boyfriend; and hit the road with Brandy in search of a brand-new past, present, and future. Changing names and stories in every city, they catapult toward a final confrontation with a rifle-toting Evie-by which time the narrator will have learned that loving and being loved are not mutually exclusive, and that nothing, on the surface, is ever quite what it seems. 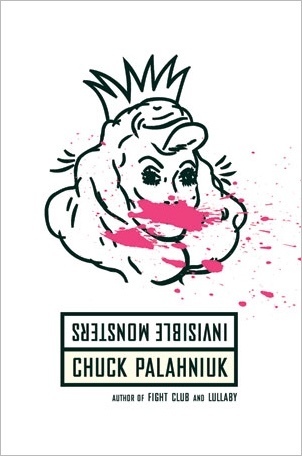 Invisible Monsters is hailed by many as one of Palahniuk's best novels. I can't agree, only because I'm firmly team Haunted and Choke, but I can unequivocally say that it's a fabulous, complicated book. It's less magical than most of his books, focusing on coincidence and human folly instead of the supernatural. The choppy, non-linear narrative follows the exploits of: the nameless narrator, a fashion model now mutilated beyond repair; Brandy Alexander, self-proclaimed princess and estrogen addict; and Alfa Romeo Seth etc. etc., narcissist, con-man, and amateur philosopher. As with many of Chuck's books, it begins with the end, leaving you to puzzle your way there through every twistier plot threads. It's an exciting book, very accessible despite the fractured plot, and home to some of Chuck's best writing and most quoted quotes. It's a wonderfully over-the-top story with a complex thread of plots. There's the central mystery: who shot the Narrator, destroying her face and forcing her to hide beneath veils? There's also an element of crazy roadtripping, as Brandy Alexander convinces the Narrator that the past is just a story, and you can rewrite your future. Just like Brandy did, transitioning into a woman's body. The Narrator, Brandy, and Seth/Alfa/etc. traipse across the country swindling prescription meds out of old people's for-sale homes, waxing philosophical, and seeking revenge on the Narrator's former best friend and now nemesis. Entwined in this is the Narrator's own inner journey to overcome the hatred she's harbored for her brother since childhood. It's a bit of mystery, a bit of fashionista angst, and plenty of twists and surprises. I'm a little iffy on some of the ways that transgender identity is used, but I have to think about that more. Palahniuk takes on the meaning of beauty and self with this bizarre story. When the Narrator's gorgeous, famous face is mutilated, she has two choices: live as a "monster", stared at and judged, or veil herself and invent a new life. A life in which invisibility is the best power. Reinvention is the watchword here. Brandy is in the process of reinventing herself, close to the final operation that will allow her body to match her gender identity. Twined in are fascinating musings on love, revenge, and the meaning of being truly seen. This book houses some of Chuck's more likeable characters. The Narrator is kind of feisty and self-aware about her pretensions and schemes. She knows she's using people, and she owns it. She's also sympathetic early on. Brandy Alexander is just delightful. Over the top diva meets drug addict meets philosopher meets inventor. She has her own religion with her devoted followers--but there's more to her than a pill-gobbling narcissist. 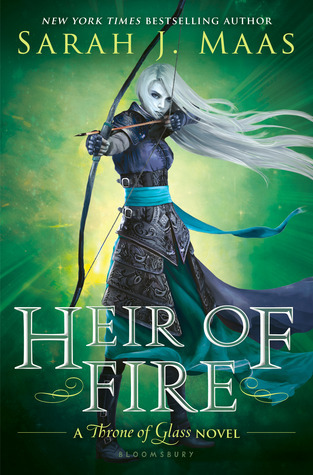 Evie is a surprising character, flat at first but with growing dimension, and AlfaSeth is the perfect rampant narcissist willing to do anything for his ego. Together, they're a perfect storm. Monsters is told in Chuck's famous flat, minimalist style, but gets a little more poetic than some of his works. The Narrator's history in the fashion industry gives her a view of life as created in magazines and showrooms. She can turn a phrase and paint a scene in all its gritty glory. There are also so many lines in this book that read like manifestos. Except, they're just thrown in with the rest of the musings and bubbly banter, so they don't come off heavy handed in the text. This is, perhaps, Chuck's most labyrinthine work, at least that I've read (and I've read the whole chronology up to here). Framed by the temporal end, it's a series of time jumps that piece together into something coherent. I'm sure some people would hate it--it is complex--but I thought the fragmented style was perfect for this book. It keeps you a little muddled, allowing Chuck to work his shadows-and-mirrors routine. Hints are dropped and suspense is created; every little revelation feels like an achievement. It's tied together by this book's particular chorus, based on the Narrator's history in modeling. Flash! Give me sultry. Flash! Give me vengeful. A deliciously cruel treatise on fabulous people rising from the ashes and finding beauty in destruction.